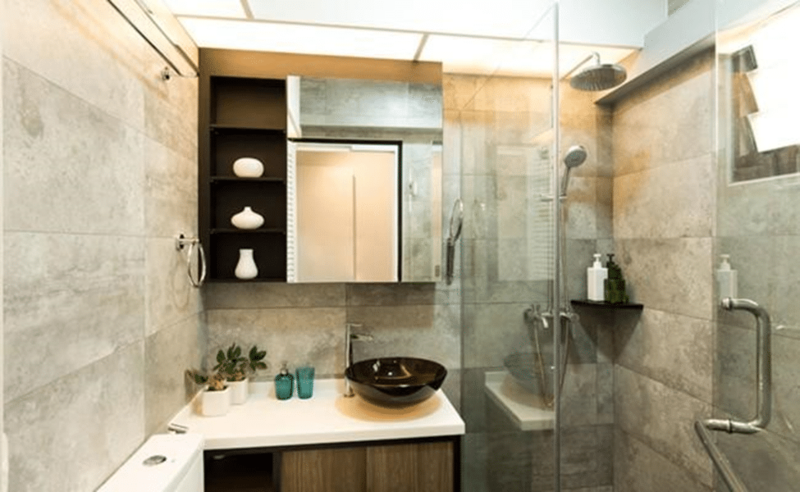 A big bathroom with stylish big tub, rain shower, two different sinks and fully heated floors are great features of some fully furnished bathrooms. You can show creativity and use different ideas even with the small bathrooms. Many of our designers have proved their best in designing and renovating bathroom interior in an extremely astonishing style. You can also try these ones for your space and make them as stylish as modern trends are prevailing in the designing world. 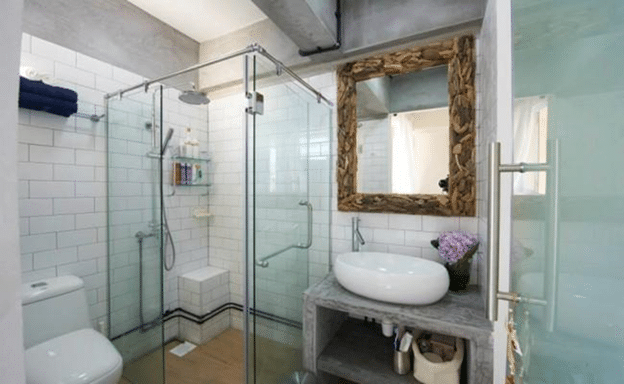 Here we will discuss some tips and amazing small bathroom designs which will help you to build a bathroom by not breaking your bank and it will make you forget that how small your bathroom really is. 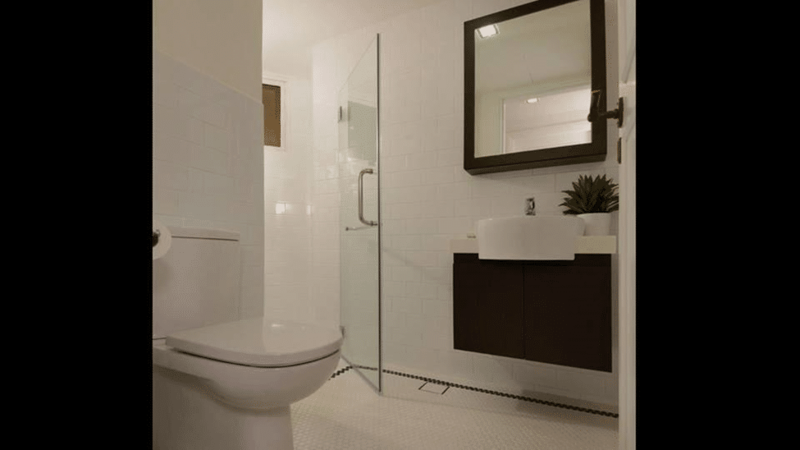 With a simple change in the layout, you can make a small bathroom feel more comfortable. Build your storage items and shelving at the corner. Corners provide extra space and it may help to use all available space with unique designs and make your bathroom look more spacious. If your bathroom spaces are constructed on a smaller areas then this creativite utilization of minimum space by VOILA would be a great source of inspiration. 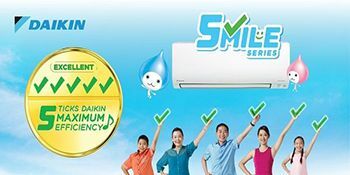 These new toilets are as comfortable as the older toilets and consume less water and space. When building a small bathroom always go for light colors and light patterns, heavy patterns and color can overpower the space. Light color tones provides a spacious and comfortable feel. If u want to be creative then play with texture. Light colors will give light effect to the bathroom. 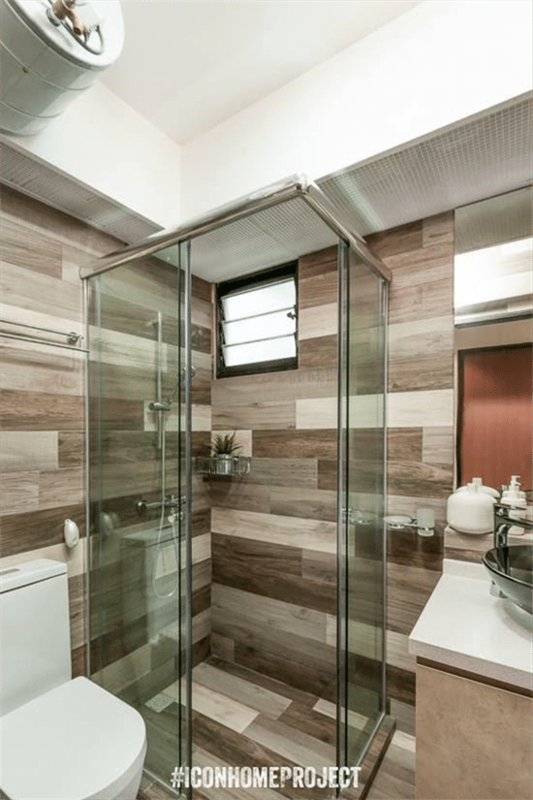 It’s good to use slide shower doors and shower glass screens. Glass windows will give spacious perception and sliding door will not occupy the space. 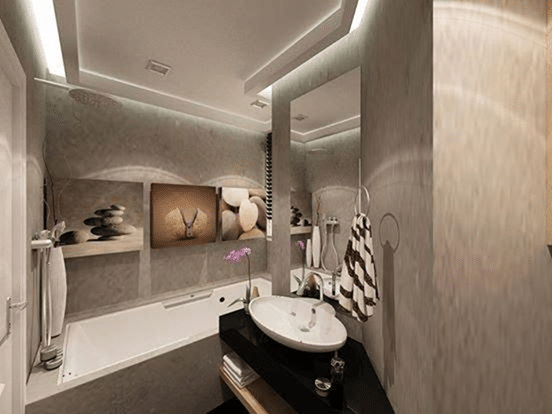 You can make your own bathroom look like this with ultimate and promised services of Icon Interior. If you love bath tubs and you want to have a bathtub in your small bathroom then it’s not a problem anymore. Such unique bathtubs are nowhere which people with small bathrooms can have, they have such a great curve basins with deep enough space for a pleasant and comfortable bath.